I get this question every now and then and people ask me what I like to wear when going out? Well, it naturally depends on many things such as who I'm going out with, where to and what time of the year. In most cases though I tend to go to a bar with some of my friends and maybe end up going to a club or something. 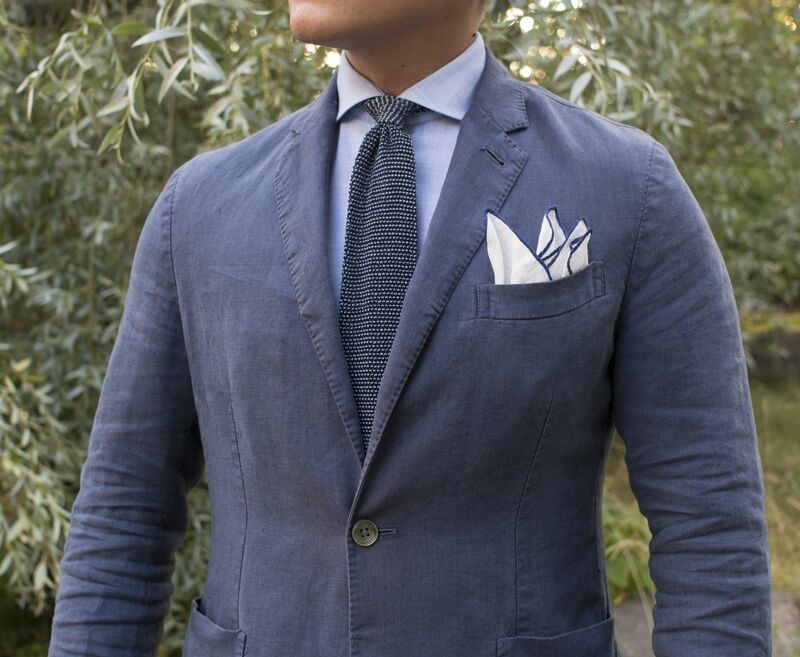 In those instances a some kind of "smart casual", as normal people would put it, is usually the best way to go. Sport coat, cotton trousers or denim and some semi casual shoes. The jacket's from Suitsupply, shirt as well, bi color knit tie from Kent Wang, contrast edge linen pocket square from Viola Milano, belt from Berg & Berg, white cotton trousers from an unknown brand, Alden tassel loafers (it's a good idea to have one set of bar shoes for summer and winter seasons - these are my summer "party shoes") and Armida A2 500 watch that seems to be holding up my left sleeve here. 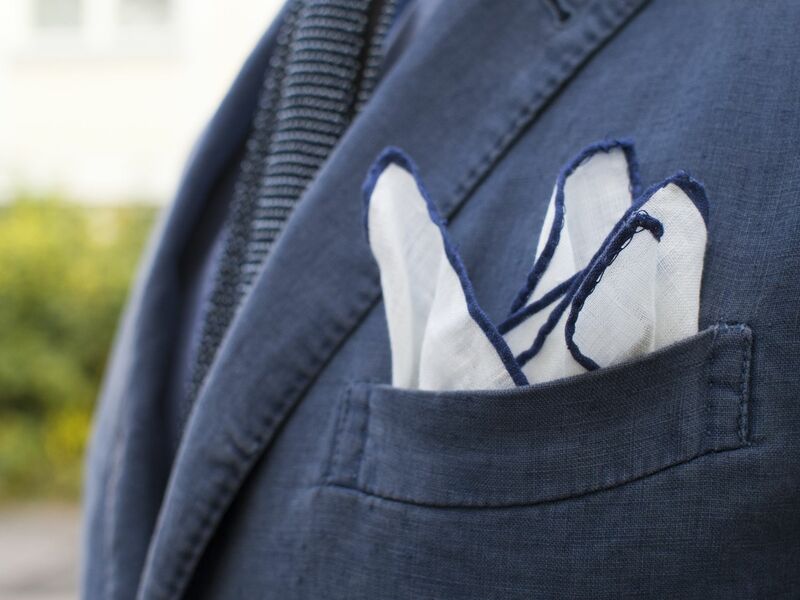 This kind of aviation blue linen jacket is great for warm summer nights. 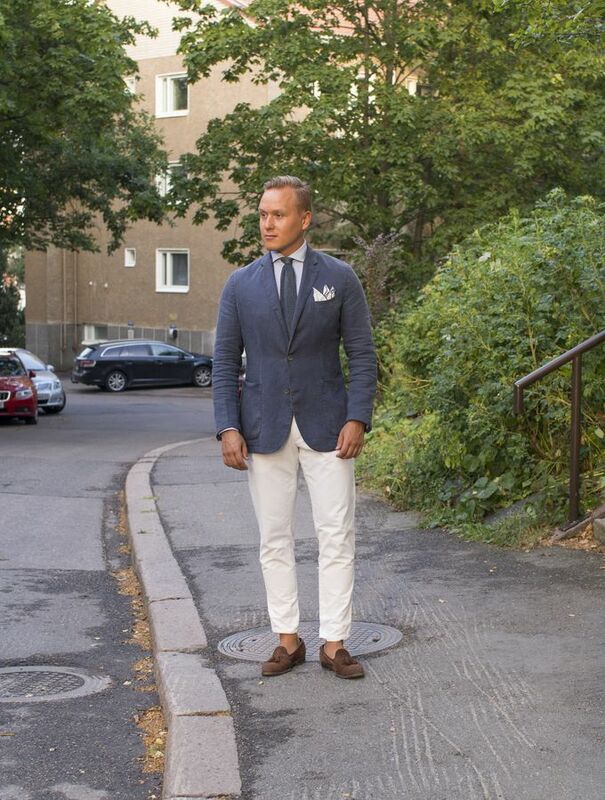 It goes well with a tan and also looks better with white chinos than, say, a navy jacket does. And a little bit more eccentric fold this time. If there is a time for it, it's definitely one of these warm summer nights when you go out.